Move over wine drinkers, there's a new beverage in town that helps prevents heart disease- beer. 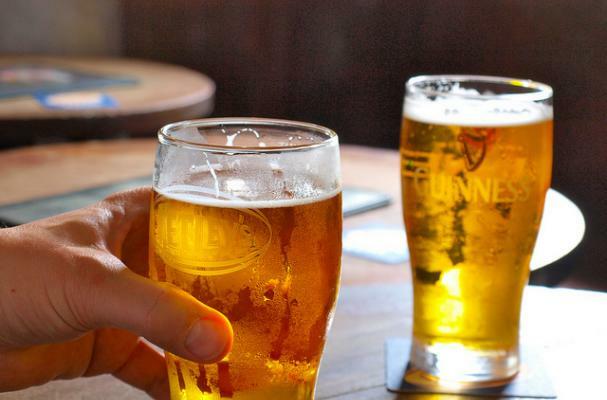 Researchers at the Fondazion di Ricerca e Cura in Italy did an analysis of 16 earlier studies involving more than 200,000 people and found that those participants who drank a pint of beer daily reduced their risk of heart disease by 31 percent. However, those who consumed higher amounts of alcohol, whether beer, wine, or spirits, increased their risk. Andrea Giancoli, registered dietician of the American Dietetic Association, explained "alcohol in moderation can increase your HDL, your good cholesterol...the higher your HDL is, the more protected you are against heart disease." This means that higher level of HDL will keep your arteries from getting clogged. It did say to have just one pint a day, and to pair it with "healthy food".